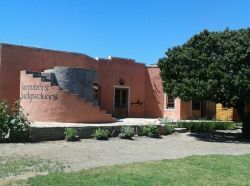 While Middelburg is found in the heart of the Karoo, it is quite distinct from its neighbouring towns. 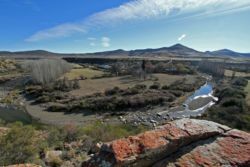 Unlike most areas found in the semi-arid region, Middelburg has very few water restrictions because of the numerous streams provide the bulk of the town’s water supply. Furthermore, Middelburg is an incredibly safe town to live in. It is not uncommon for residents to leave their doors wide open during the day and at night, inviting their neighbours in for a cup of tea or a nightcap. Middelburg was granted its name due to its unique geographical location. Not only is it a midway point between the cities Port Elizabeth and Bloemfontein, but also connects Johannesburg to Cape Town. Often, holidaymakers en route or travelling corporates will stop over in Middelburg for the night. It is the excellent pit stop that provides you with scenic views of the mountainside and a myriad of outdoor activities. Found just outside of the town is the Karoo National Park. Due to the semi-arid conditions of the Karoo, the only life form that survives are the ones that are able to adapt. As a result, vegetation is sparse, where only a few plant succulents can be found in the park. In terms of wildlife, the park is home to the endangered black rhino, buffalo, Cape mountain zebra, 20 breeding pairs of black eagles and reptiles. For twitchers wishing to immerse themselves in the natural environment, there is a hide for you to spot and get up-close-and-personal with bird species. For visitors who are willing to travel further afield, the Valley of Desolation is found just 12km out of Graaff-Reinet. Comprising of vertical cliffs and columns that stand tall over the surrounding areas, the Valley of Desolation is certainly a majestic sight to bear witness to. What makes the valley unique, however, are the unusual features that have been etched into the rock face. These etchings are a consequence of cumulative volcanic disasters and erosive forces. Furthermore, the area to which the Valley of Desolation is a part of is considered the oasis of the Karoo, where vegetation grows in abundance, birds soar in the sky and mammals roam around in the veldt. A quick look at our website will give you the information you need to make your choice. 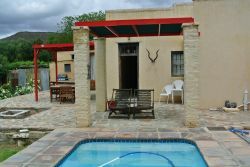 You will find reviews and you will also be able to compare prices and find wonderfully affordable accommodation in Middelburg (EC). Are you planning the perfect getaway but have not yet found your ideal Middelburg (EC) accommodation? By using our easy website, you can find great accommodation of all types, whether it is a cosy bed and breakfast or a comfortable lodge. We have thousands of easy to find listings for self-catering facilities, holiday homes, guest houses and hotels as well as backpackers, chalets, caravan facilities, villas and apartments, giving you a wide variety of options when it comes to your accommodation in Middelburg (EC). To help you find the right place to stay, we have a number of tools that you can use, including a map. This will help you to pin point exactly where you will be staying and it will show you the accommodation facilities that are closest to where you will be. Regardless of the reason for your visit to Middelburg (EC), we can guarantee that you will find the type of accommodation you are looking for. 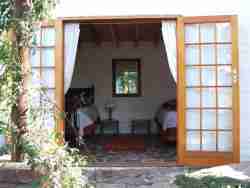 But reviews for Middelburg (EC) accommodation is not the only information you will find. Want to know if your Middelburg (EC) accommodation is pet-friendly or allows smoking? All of that information is included on the listings page. You will also be able to find which activities are on offer and the sort of amenities included with each room. All of this information will help you to make an informed decision before you make any payments to, giving you more peace of mind about your choice. 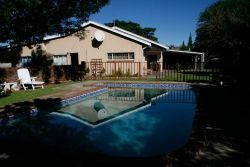 We include all of the contact details of the self-catering accommodation, holiday homes, guest houses and hotels as well as backpackers, chalets, caravan facilities, villas and apartments in Middelburg (EC) which are featured on this website, so you also have the option of getting directly in touch with the place. 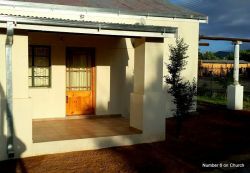 Regardless of where you are staying, we feature Middelburg (EC) accommodation in that area of the province. You have options of Middelburg (EC) guest houses, lodges and bed and breakfasts, among others, ranging from your more affordable, lower prices to your more luxurious options. So, you are not visiting for a holiday but rather for business and all you need is a place to stay for a night or two? The bed and breakfast options, as well as the lodges, are generally preferred by business people and you will find all types, from your more luxurious lodges to your simple, self-catering bed and breakfast. Each will give you a safe roof over your head while you are in the province. Middelburg (EC) accommodation is not only affordable but well situated. If you are doing business in this area, this is a great accommodation choice. Spending more than a few days in the province? Perhaps you are indulging in a tour of the region and you are looking for a few places to stay? Browsing through our listed self-catering accommodation, holiday homes, guest houses and hotels as well as backpackers, chalets, caravan facilities, villas and apartments in Middelburg (EC) will give you all of the information you need to make your selection. And once you have found the ideal place to stay, you can either request a quote or make your booking directly on this website. Sleeping-OUT.co.za is designed to make finding and booking accommodation in Middelburg (EC) easier than your traditional methods of sourcing a place to stay! 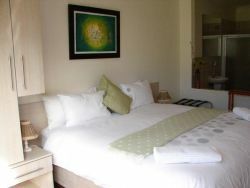 We include some great accommodation special deals in and around Middelburg (EC). Thank you Sleeping-OUT for this fabulous & unexpected surprise! Using your website has SO many benefits. 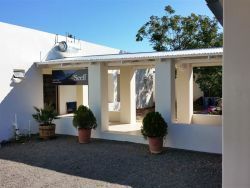 5 reviews of Middelburg (EC) Accommodation. It is a small old town. It is a very quiet and peaceful place to stay over after a long drive. Middelburg is a nice historical place, could have been cleaner though. Middelburg is a convenient stopover destination when travelling from Gauteng to the Eastern Cape. I enjoy the solitude and scenic beauty of the area. Middleburg is a town with little character. There are areas of excellence, but not a town of any particular character however it is quite well placed for a stop over between Johannesburg and the Cape and a good country alternative to Graaff Reniet.